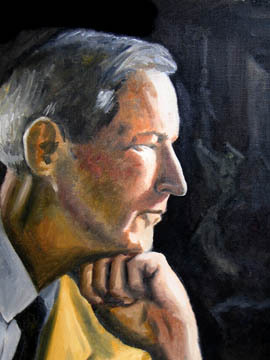 Jacques Martin Barzun (born November 30, 1907) is a French-born American historian of ideas and culture. He has written on a wide range of topics, but is perhaps best known as a philosopher of education, his Teacher in America (1945) being a strong influence on post-WWII training of schoolteachers in the United States. In 2000 he wrote his popular book From Dawn to Decadence: 500 Years of Western Cultural Life, 1500 to the Present. 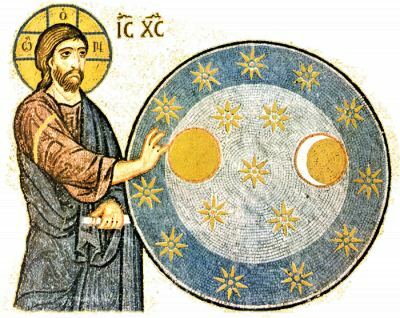 Science as a Delphic oracle exists only in the popular imagination and the silent assumptions of certain scientists. At any given time there are only searchers who agree or disagree. The March of Science is not an orderly army or parade, but rather a land rush for the free spaces ahead. This means a degree of anarchy. Besides, fogeyism, faddism, love of stability, self-seeking, personal likes and dislikes, and all other infirmities of mind, play as decisive a part in science as in any other cultural enterprise. Facts themselves are not the “hard” or “cold” items to which we constantly appeal in order to silence our opponents. They are in a sense products of our ingenuity and often inseparable from our hypothetical interpretation of them. Most statistical fallacies come from neglect of this usual obstacle, just as our imputations of ignorance or bad motives come from supposing that our “undeniable facts” are direct messages from experience which can mean only one thing. Part of their [Darwin, Marx, and Wagner] success in reaching and teaching a great miscellaneous audience lay, surely, in their being somewhat less than great thinkers. When their systems are examined they appear unusually, almost incredibly, incoherent, both in thought and in form. Of the many books which Darwin, Marx, and Wagner have left us not one is a masterpiece. With their work as a whole our practices show that we are not satisfied. We cut them, abstract them, reorder their parts to make them palatable: they failed in artistry at least. Imperfectly aware of their intellectual antecedents and impatient of exact expression, they jumbled together a bewildering collection of truths and errors and platitudes. They borrowed and pilfered without stint or shame, whence the body of each man’s work stands as a sort of Scripture, quotable for almost all purposes on an infinity of subjects. The genetic fallacy dating back to Comte is at the root of the trouble — the fallacy of reducing all experiences to one condition of their origin and so killing meanings by explanations. With its mechanical and historical bias, evolution reduced everything to something else. From fear of being anthropomorphic, it deanthropomorphized man. With its suspicion that feeling was an epiphenomenon, it made “refined music” into a “a factor of survival.” Nothing as what it seemed. Believers in the class struggle often saw little difference between race and class…The North and South of Italy were races, with the industrial North naturally superior. Anglos-Saxons and Latins were two races, since Protestantism and Industry could be aligned against Catholicism and centralized government…Politics, art, religion, language, science, everything had a natural, therefore a racial, basis. Nations were races and professions too; there were races of poets and races of sailors, races of democrats and races of pessimists, races of struggle-for-lifers and races of suicides. Apparently the only race not entered on the books was the race of true Christians. In truth, once the word “selection” was used, no other course was possible, than that of personifying Nature and making her “watch and seize unerringly” those of her children who deserved survival. The idea of merely resisting the universe, sitting tight and enduring, was not sufficiently anthropomorphic. Competition with other species or individuals, victory earned because of inward merit or determination to win — these were intelligible principles. The small random variation would accumulate, and in course of time lead to partial or complete change of form. New species would arise bearing new and useful characteristics; for all changes, in order to be perpetuated, must be adaptive, that is to say, must be of help to the creature possessing them. Such is Darwin’s “distinctive theory,” and its correspondence with the argument of the classical economists to prove that unlimited competition brings out the best and cheapest product is complete. Even now, after a century of criticism, the persuasive exposition of either theory leaves the mind paralyzed with enchantment. It is so simple, so neat, so like a well-designed machine,. Even better than a machine, in that it really provides for perpetual motion; the struggle for existence is constant, so is variation; improvement should therefore be endless. After its beauty had once been grasped it was difficult not to fall down and adore the theory. Now materialism in science produced such magnificent results in practical life that to the men of the late nineteenth century these results seemed tantamount to a proof of the system. Thousands of miles of railway track, millions of yards of cloth, unlimited steam power, iron and steel machinery, devices for instant communication, and the multiplication of innumerable conveniences for the benefit of mankind — all struck the imaginations of men so forcibly as to make any questioning of the materialist assumption look like superstitious folly. At the same time, the age-old passion for uniformity drove the scientists to explain by material cause the inner life of man which alone gave value to the things. Vitalism was thus driven out of biology and man came once more to be considered a machine — a physico-chemical compound — as he had been in the middle of the eighteenth century.